Category Archives: Cleaning Industry Thoughts…. Are You Using the ACE Online Campus? 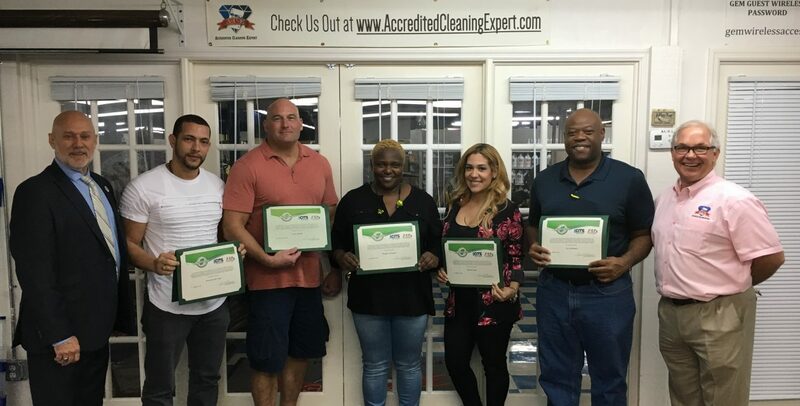 The Academy of Cleaning Excellence, On-Line Campus is working for everyone. And several have taken advantage of the 7 (SEVEN) FREE courses. Have you used this avenue of learning like these people? Here is the link if you need it! This animal hospital was using their disinfectant with a parvo claim to keep their floors safe. What they learned was how bad of a tool the mop and bucket was in the process. No matter what the product was, the pH was not being removed and therefore the disinfect film left on the flooring had become a breeding ground for all types of pathogens. Now with the new process, they will be using, there will be a removal of the food source prior to using the disinfectant, which is precleaning and is part of any disinfection process no matter what the surface is. Remember, mop ENEMY – Squeegee FRIEND! Special thanks to Kathy Dube and GEM Supply for setting up this class on proper processing of floors and disinfection of surfaces.